Superstar point guard Chris Paul is now on a bigger market after he was traded to the Los Angeles Clippers, which will also pave way to bigger attention for his signature shoe. As expected, another colorway of his fifth signature shoe with Jordan Brand is set to be released soon. Jordan Brand announced that the white/metallic silver colorway of the Jordan CP3.V will be officially released in the market on April 4, making it one of the initial offerings from JB next month. 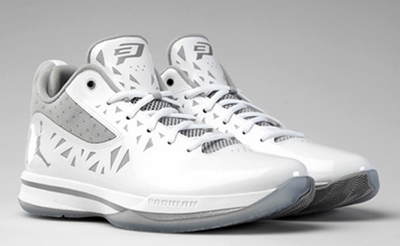 Featuring the Podulon cushioning system, this Jordan CP3.V is definitely a must buy. Check it out soon!